This elegant 14K white gold necklace features a crystal carved with a radiant design and adorned with a single fine faceted diamond. 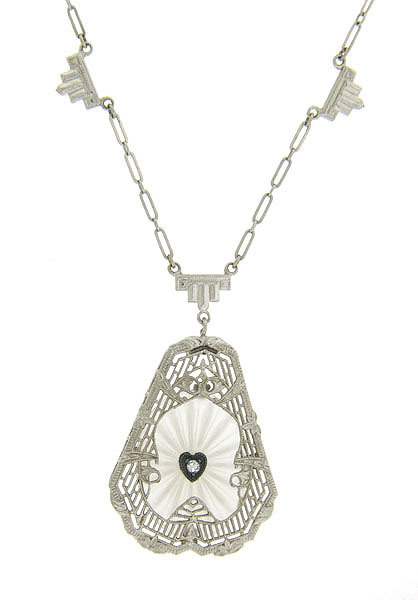 The pendant is decorated with abstract organic filigree and dangles from a handsome Art Deco style chain. The antique style pendant measures 1 1/8" long, 7/8" wide. The chain measures 15" in length.